This Business Recognition Series is the brainchild of Jack Doherty — a man who knows whereof he speaks, having served on Lemon Grove’s inaugural city council in 1977. When a community seeks to incorporate, a study is conducted to see if the community can generate enough revenue to pay for the services a city is expected to provide. How much revenue will come from property taxes? How much sales tax revenue can be expected from local merchants? It is difficult for cities – especially small cities – to generate enough tax from its citizens to pay for city services. Cities need revenue from neighbors and the way cities get it is through sales tax. Who collects sales tax? Local businesses! That is why we say businesses are the life blood of any city. Businesses make cities possible. Businesses made incorporation possible in Lemon Grove. Lemon Grove is celebrating its 40th year as a city. Businesses have come and gone, but many in Lemon Grove live on — often because they are run by families. It is altogether proper that we recognize those businesses that helped make the incorporation of Lemon Grove possible and that are still in existence today. During the City of Lemon Grove’s 40th Anniversary celebration, Mayor Racquel Vasquez recognized some of the City’s great businesses for their longevity and contribution to the history of Lemon Grove. Below is the list of honorees. Hunter’s Nursery was founded in 1919 by Howard Hunter, and is run today by the fourth generation of the Hunter family. The nursery is the oldest, continuously operated business in Lemon Grove, and is the oldest family-run nursery in San Diego County. Originally named “Hunter’s Tree Nursery,” they are still located after ninety-eight years at 3110 Sweetwater Road, and deliver the same high-quality, attentive customer service, and huge variety of nursery products. On September 5, 2017, Mayor Rachael Vasquez recognized Hunter’s Nursery by proclaiming that date Hunter Nursery Day in the City of Lemon Grove. Conrad Mortuary was founded in 1954 at 7387 Broadway, and is among Lemon Grove’s oldest family businesses. Gary and Donna Conrad, and their son, Grant, were the second and third generations to run the business. On September 19, 2017 Mayor Raquel Vasquez presented the City’s proclamation to honor this remarkable company and family! In 1947 with four employees and several “revolutionary concrete products,’ Marvin Finch and his partners opened the RCP Company. 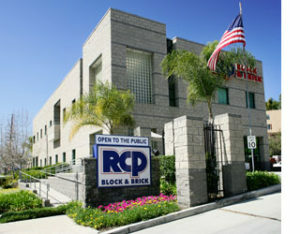 Seventy years later a new generation of Finchs operates the RCP Block and Brick Company one of Lemon Grove’s oldest businesses. On October 3, 2017 Mayor Raquel Vasquez presented the City’s proclamation to honor the Finch Family and their contribution to the Lemon Grove community. Founded in Lemon Grove in 1960 by two former WW II Navy electricians, Dell Lake and Ron East, the company grew from a small badge-making operation in Lake’s basement into the company known county-wide for its high quality commemorative and promotional products. 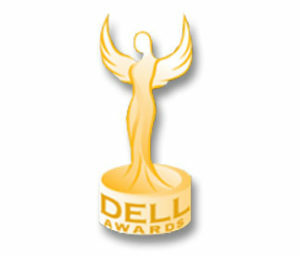 Led today by Mike Telles who joined the business in 1976, Dell Awards is one of Lemon Grove’s oldest businesses. On November 7, 2017 Mayor Raquel Vasquez presented Dell Awards the City’s proclamation to honor this historic business and its contribution to the Lemon Grove community. 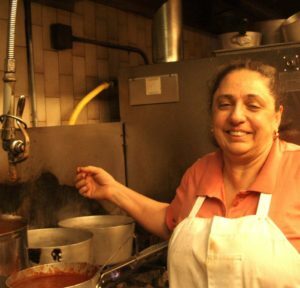 Lido’s Fine Italian Foods was opened in 1955 and run by Nick and Antoinette Farella, who named the restaurant for Antoinette’s father, “Paulido” (Little Paulo) — or “Lido.” After 23 years of running Lido’s, the Farellas packed it in–but not before luring the Simi Family of Lucca, Italy to the site in 1978. Today, 40 years later, Angelo and Vilma Simi are in their ‘eighties–and Lido’s is run by the second and third generations of Simis: Elisabetta, Marco and members of the Simi family. On December 5, 2017 Mayor Raquel Vasquez presented the City’s proclamation to honor this landmark Lemon Grove business known for its authentic old world family recipes and its contribution to the Lemon Grove community. Marcos Jewelry was opened in 1987 on Broadway by Marcos Ortega of Chihuahua, Mexico, whose old-world skills in clock and watch repair and rebuilding, and eye for antique jewelry, made the shop an institution in Lemon Grove and environs. 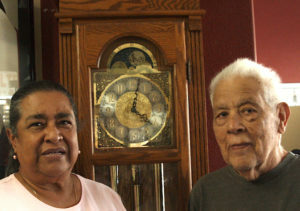 With his wife, Concepcion, Mr. Ortega built a reputation for caring customer service no matter how old or unusual the item needing repair. Theirs is a classic immigrant success story so typical of Lemon Grove and redolent of the family ties, cultural heritage and hard work that make this “mom and pop business” a treasured part of the local business community. With the Ortegas’ retirement coming up in January, 2018 the historical society sought to honor the business. On December 19th Mayor Raquel Vasquez presented the City’s proclamation to the couple and also welcomed their son and daughter-in-law, both 20 year veterans of the U. S. Marine Corps. 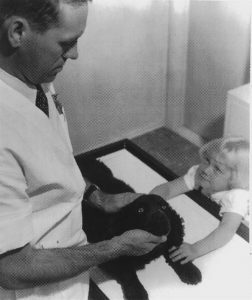 The Lemon Grove Veterinary Hospital was founded in 1955 by Dr. Robert Burns who was elected to the first City Council of Lemon Grove and later became the City’s third mayor. Doctor Burns and now, Dr. Anil Bettegowda have served the needs of Lemon Grove’s pet owners for over 60 years. By coincidence, Dr. Anil Gowda of Bangalore, India, received his Ph.D. from Michigan State University — the same institution where Dr. Burns earned his degree in veterinary medicine. .
Dr. Gowda’s interesting background in clinical research, close family ties, and agricultural heritage in an ancient land make him perfect for our small city, with its myriad family-run businesses of longstanding, many symbolizing immigrant success stories. On February 6, 2018 Mayor Raquel Vasquez presented Dr. Gowda a City proclamation to honor this historic business. In 1952 Art and Bernice Berry opened a Firestone tire dealership in a small shop on Imperial Avenue in Lemon Grove. As a side line they sold toys, bats, balls and ball gloves. With few sporting goods stores in East County the Berry’s saw an opportunity. Within four years the athletic supply business took off. 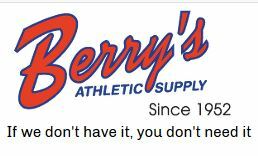 Berry’s Athletic Supply was born. The store was moved to 7809 Broadway where it became the preferred provider of sports uniforms and equipment for East County. In 1981 the Healey Enright family bought the business and moved it in 1993 to its current location in the old Crocker National Bank building. The Enrights continue the tradition of providing premium supplies and service to the youth and sports community of Lemon Grove. On March 6, 2018 Mayor Rachael Vasquez recognized Berry’s Athletic Supply’s contribution to the community of Lemon Grove. 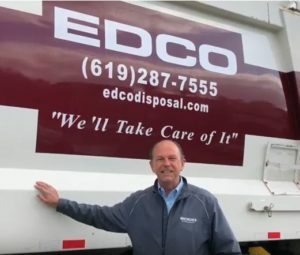 In 1976 EDCO merged with Thomas and Sons Disposal, which had served Lemon Grove since 1968, and subsequently established its headquarters in Lemon Grove with a leading edge plant known for employee loyalty and dedication, personalized customer service, and a commitment to innovation. In recognition of the company’s service to the community Mayor Raquel Vasquez proclaimed April 3, 2018, be known as “EDCO Disposal Corporation Day” in the City of Lemon Grove. The Grove Grinder is a classic “mom-and-pop” business launched in 1972 by Pete and Patty DiGangi as “The Grinder” at 3345 Olive Street, Lemon Grove. 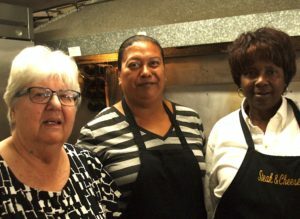 In 1986 Robert and Sharon Jones brought their Yugoslavian, English and Welsh heritage and culinary skills from Chicago to Lemon Grove, where they became regular customers of The Grinder. The Jones bought the business in 2000, expanding both its menu and seating area and creating a charming environment with vintage décor and bric-a-brac. The business is now run by three generations of Jones’ along with a dedicated local staff. On June 5, 2018, Mayor Rachael Vasquez recognized the Grove Grinder by proclaiming that date Grove Grinder Day in the City of Lemon Grove. 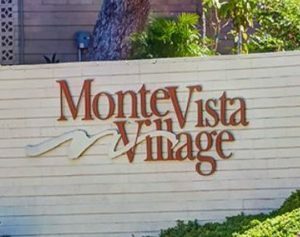 Monte Vista Village is an eight acre senior care facility. Construction began in 1958. Upon completion five years later, the Village became known for its efficient management, meticulous care of residents, beautiful campus and forward thinking policies for senior living and care. The Village was purchased by John Goodman of the Goodman Group in 1972 resulting in expanded services including independent living, assisted living and skilled nursing care. Over the years, Monte Vista Village kept pace with medical advances, providing state of the art facilities in a park like setting. Its outreach programs ensure residents can participate in community events, meetings and maintain an active, engaged senior life. Monte Vista Village was recognized for its decades of service on June 5, 2018. San Diego Center for Vision Care (“The Center”) was opened in 1944 at 7898 Broadway, Lemon Grove, by Dr. Amorita Treganza (1912-2002), the first Miss Lemon Grove in 1928, daughter of “Big Lemon” designer Alberto Treganza, and an acclaimed pioneering pediatric eye doctor. In 1975 Dr. Robert B. Sanet joined the practice. In 1997 Doctors Carl and Melissa Hillier took over the Center. Through hard work, special skills and distinguished clinical investigation into all types of vision problems, the Center continues to thrive. On August 7, 2018 Mayor Raquel Vasquez, recognized the San Diego Center for Vision Care for the preeminent role the Center has played in the growth of Lemon Grove and the science and art of optometry and vision development.